Brazilian Citizens have complex and specialized immigration needs that demand the attention of experienced and talented immigration counsel. Our market leading Brazil Practice Group is comprised of some of the world’s most experienced immigration and foreign investment lawyers. Our goal is to create value for our Brazilian clients by providing the most creative and efficient immigration solutions available. A bill has been introduced in Congress that would increase the EB5 investment required to USD 0.8 M or USD 1.2 M.
Click here to learn how to beat the increase! The Eb5 visa program allows a Brazilian national to obtain Permanent Residency in the United States by investing either USD 500,000.00 or USD 1,000,000.00 in either a qualified U.S. business or project. Click here to learn more about EB5 visas. EB1(c) provides a way for a Multinational Managers and Executives who have been employed in a business outside the United States to obtain a “green card” through a US affiliate or subsidiary of the foreign entity. Click here to learn more about EB1(c) visas. The EB1(c) visa is commonly used by L1-A visa holder to adjust to “Green Card” status. The L-1A visa allows managers and executives to transfer to a related business in the United States. Click here for more details. Using the L1-A or other applicable visas. Our lawyers commonly assist non-U.S. business owners establish a U.S. business and relocate to the United States using the L1-A visa. Our firm is able to assist clients with all aspects of opening or expanding a business in the United States. 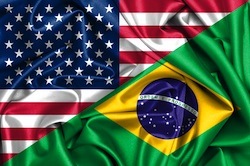 The L1-B visa enables U.S. firms to move specialist workers from Brazil to the United States. 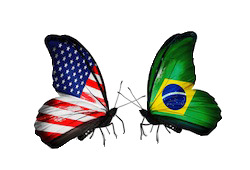 Click here to learn more about L1-B visas for Brazilian Nationals. For a fraction of the investment required for an EB5 petition an E-2 visa allows an investor establish or operate a business in the United States. Unlike the L1 visa thee is no requirement that E-2 visa holders transfer from a related non-US business. Acquiring other passports by investment. For as little as USD 200,000.00 and a process just taking months it is possible to obtain a second passport from a country whose Nationals can obtain US E-2 treaty trader visas. This process is often still cheaper than acquiring a US EB-5 investment visa and usually results in attaining visa-free access to Europe.